NB - Other than this paragraph, we will make no mention of 'new' Top Gear; i.e. the series with Jeremy Clarkson, Richard Hammond and James May. Purely because we'll be here all day ripping the p**s out of it. So from now on, 'Old Top Gear' is (mostly) referred to just as Top Gear. 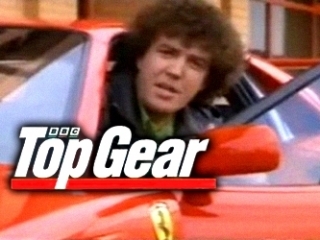 The original Top Gear started in 1977 as a monthly 30 minute TV series produced by BBC Midlands, based at Pebble Mill and broadcast in the Midlands region only. It replaced an almost-forgotten series called Wheelbase that was part motoring programme, part motorsports round-up. Top Gear was a more prim and proper series than you might expect; it covered not only new car road tests but other motoring-related issues such as fuel economy, safety, the police, speeding, insurance, second-hand cars and holiday touring. It was presented by Angela Rippon and Tom Coyne, who was front man of the local evening news programme, Midlands Today. In the first edition, Angela Rippon drove from Shepherd Bush in London, to the Pebble Mill studios in Birmingham, reporting on driving conditions en route. Other items covered in the first programme were speed traps, fuel economy, strange new road signs and an interview with the Transport Minister; all heady stuff for 1977. But the evolution of Top Gear into the programme it is remembered for really started with the second series in 1978, when it was broadcast nationwide and became a weekly 30 minute BBC2 programme. 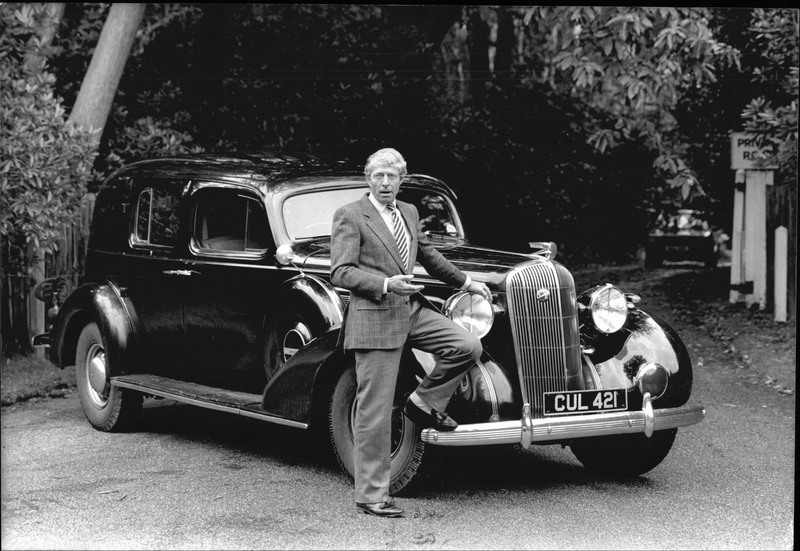 Angela Rippon remained in the presenting line-up, but joined by Noel Edmonds and the man, the legend, the progenitor for the wacky craze of standing with one foot on the front of your car and looking studious, one Mr William Woollard. There were a host of co-presenters included Barrie Gill, Sue Baker, Frank Page, Judith Jackson, and that other pillar of TG, Chris Goffey. Features in the new series included: Rippon On The Road, driver training, MOTs, holiday rush traffic, up and coming rally drivers, rust and corrosion, tachographs in lorries and the Le Mans 24 Hours race. 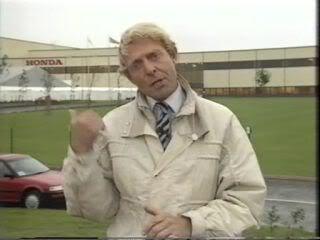 In 1987 new presenters were added including a former F1 driver called Tiff Needell, Tom Boswell, Tony Mason and then-Performance Car Magazine scribe Jeremy Clarkson in late 1988 and the programme saw a massive boost in its audience as it became a more humorous, controversial, and unashamedly more critical show. 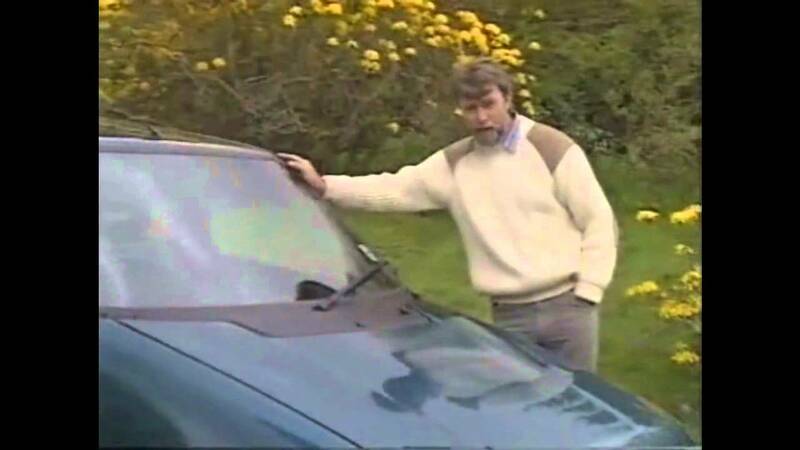 Despite enduring criticism that the show was overly macho, encouraged irresponsible driving behaviour and ignored the environment, the show pulled in huge audiences becoming BBC2's Top viewed programme with audiences over 5 million from 1988. Remember, this is the original Top Gear we're talking about. 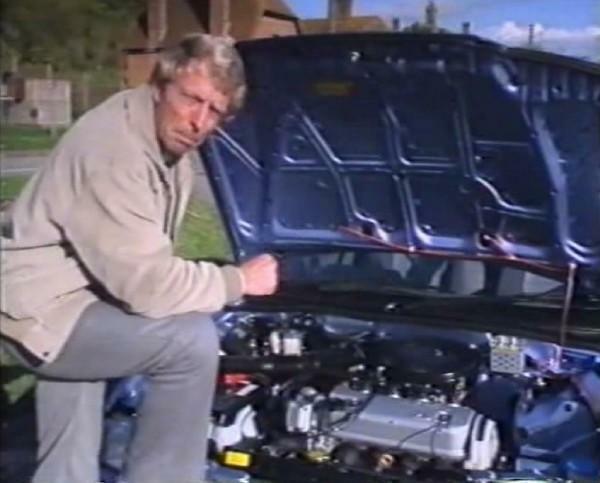 It became hugely influential with motor manufacturers, since a critical word from the Top Gear team could have a severe negative effect on sales, such as Clarkson's remarkds about the Vauxhall Vectra, effective damning it as 'just a box on wheels', a comment that has stuck about the car ever since. 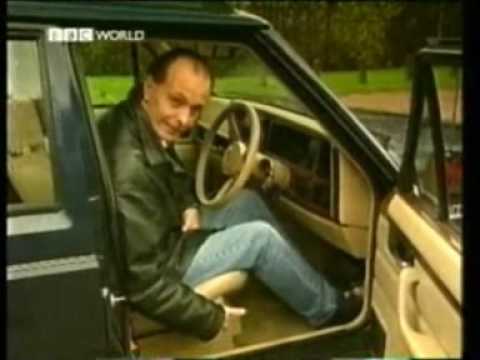 In 1991, the mood of the show changed again; William Woollard left and around the same time, Quentin Willson, a former used car salesman, joined the team. 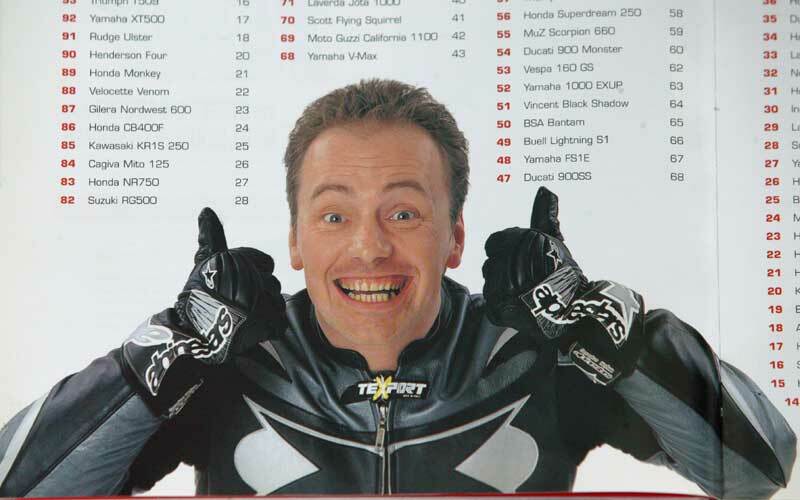 The 90's also saw the addition of Steve Berry, whose speciality was motorbikes (and being vaguely annoying) and racing driver Vicki Butler-Henderson (who more than made up for having to endure Steve Berry). Sorry, did I say vaguely annoying? She made a one-off appearance in 1994, and started presenting the show full time from 1997. But following many well-known presenters' departure in 1999 & 2000, ratings fell from a peak of six million to under three million. Initially, James May took over Clarkson's spot, and a number of changes were made to the presenting line-up. But despite regularly being the most watched show on BBC2, the channel decided the format needed to be dramatically refreshed. In 2001 the show was cancelled by the BBC to be relaunched in the one-hour-long, studio-based format thats currently shown. But to many, the most enduring memory is the theme music. The show's opening theme music from the very first programme in 1977, was The Allman Brothers Band instrumental Jessica, from their 1973 album Brothers and Sisters (although remixed versions were used on the show after 1999). For much of the original series' lifespan, Elton John's instrumental Out Of The Blue from the 1976 Blue Moves album played over the closing credits. The opening and closing titles music were suggested to Executive Producer Derek Smith by his son, Graham who had the two albums at home.